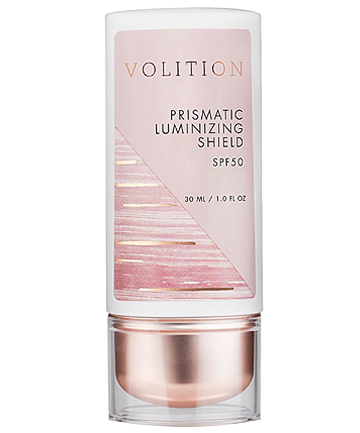 Volition Beauty Prismatic Luminizing Shield SPF 50, $35 You can't hit the summer music festival scene without an SPF. You've got lots to choose from but one of our favorites is a newcomer by Volition Beauty called Prismatic Luminizing Shield SPF 50. It's a hydrating sunscreen that's formulated with micro-fine pearlized powder and hyaluronic acid for moisturized, protected, luminous skin.